After a September stumble, Windows 10 last month resumed its march toward replacing Windows 7 as the world’s most popular operating system, an analytics vendor reported this week. As expected, Windows 10’s October increase more than made up for the prior month’s downturn. It was slightly larger than the 12-month average for the three-year-old OS and likely puts Windows 10 back on track for a sustained climb. Meanwhile, the veteran Windows 7 lost 1.6 percentage points of user share last month, its biggest decline since May. Windows 7 ended October on 39.4% of all personal computers and on 45.1% of all PCs running Windows. Window 10 and Windows 7 have never been closer. The crossover point – the moment when Windows 10 powers a larger percentage of all Windows PCs than Windows 7 – will almost certainly occur this month, according to Computerworld‘s calculations using the average monthly movement of each. As recently as last month, that crossover was forecast for December. Crossover will not mean an end to Windows 7, nor represent total victory for Windows 10. 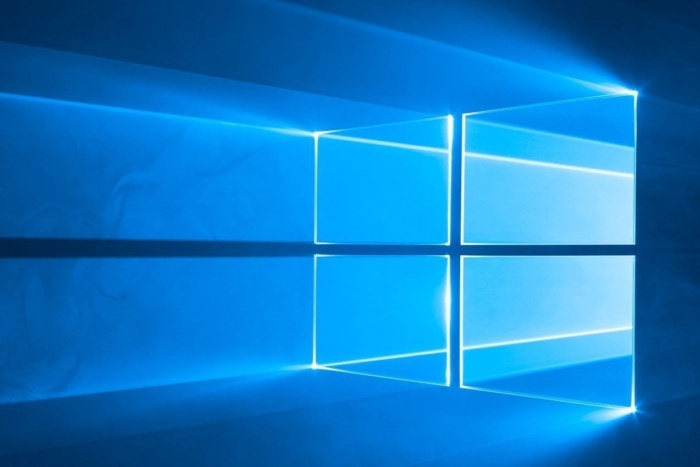 But the sooner-rather-than-later milestone means a better outlook for Windows 10 come January 2020, when Windows 7 reaches the end of standard support. At that point, Net Applications’ revised trend lines signal that Windows 10 should be running 60% of all Windows systems, with 37% still powered by Windows 7. Because of the business-as-usual increase of Windows 10 and also-normal decrease of Windows 7, those figures are higher and lower, respectively, then they were a month ago. Microsoft may have just breathed a small sigh of relief, even though the company has claimed Windows 10 already is ahead of Windows 7 in at least one critical area. According to Computerworld‘s forecasts, which rely on Net Applications’ numbers, Windows 10 will reach the 50% line (of all in-use PCs, not just those in the enterprise) in April. At that time, Windows 7 will account for nearly 42% of all Windows. Microsoft has been pushing customers, especially its best-paying customers – enterprises and other large organizations – to move to Windows 10 ASAP. The company line has been about 10’s security and manageability, all better than 7’s. But Microsoft has more skin in the game than that. “The Windows 10 Pro strength and I think [the] commercial strength we’ve seen … continues to be a good signal for us,” said Microsoft CFO Amy Hood during the same earnings conference call. By “signal,” she meant the signs, internal at this point, of future revenue. Key in Hood’s commentary was the mention of Microsoft 365, the company’s most expensive subscription plan, which combines Windows 10 Enterprise with the top-tier Office 365 subscription and a host of other software, including for-IT management tools. The faster Microsoft gets enterprises off Windows 7, the sooner its salespeople can pitch Microsoft 365 – a cornerstone of its OS revenue strategy – at those customers. Elsewhere in the October data, the user share of Windows again slid, dropping another three-tenths of a percentage point – about the same as the month before – to 87.3%. The combined share of all macOS and OS X editions accounted for 10%, an increase of half of a point. Linux slipped two-tenths of a percentage point, to 2%, while Google’s Chrome OS was flat at a meager three-tenths of a point. Net Applications calculates user share by detecting the agent strings of the browsers people use to visit its clients’ websites. It then tallies the visitor sessions, rather than count users, as it once did. The result? A measurement of browser activity that reflects OS use.